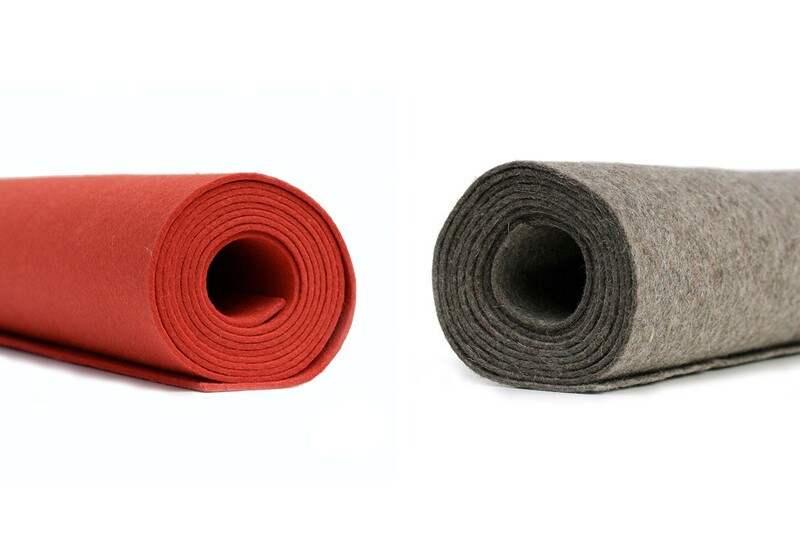 Our 2mm Wool Design Felt is ideal for drapery, wrapped panels, + tackboards, lifestyle, and home goods. This nonwoven textile is naturally moisture-resistant, durable, renewable, and just plain gorgeous—perfect for a variety of applications! Please visit our About section for more information on the manufacturing process and unique characteristics of 100% Wool Design Felt. Looking for small quantities? End of Bolts are available in lengths three yards or less and discounted 20% when you purchase the remaining length on a bolt. Visit our Shop for more information. Maintenance Vacuum occasionally to remove general air-borne debris. Should soiling occur, spot clean with mild soap and lukewarm water. Avoid aggressive rubbing as this can continue the felting process and change the surface appearance of the felt. Refer to 100% Wool Design Felt Maintenance + Cleaning for detailed care instructions. Variation Wool felt is a natural material and color variation and inclusions of natural fiber on the surface are evidence of the 100% natural origin of the material. Product color is only indicative, as it is not possible to assure consistency of color in a natural product due to the natural color of raw wool and absorption of dyes. Color matching cannot be guaranteed on shipments and variation will be more pronounced beyond the normal commercial range. Available in 1/4 yard increments with a 1 yard minimum. Ships in 3 business days. Price per linear yard is adjusted based on quantity added to the cart.